Voting begins at noon on Monday, March 25, 2019 and ends at 5pm on Thursday, April 4, 2019. I want to serve on the Local First Board of Directors to increase awareness of the impact of shopping local on our community. Being intentional and mindful of where and how we spend our money allows our local business community to become successful. Those businesses have a face behind the name, and many of them are our family, friends and neighbors. By Educating the community on how exactly their purchasing decisions affects small business, and our community as a whole, is the first step to success. I LOVE Lexington and would be honored to help it become its best! Aside from my full-time position as an Attorney for LFUCG, I recently started an online boutique which focuses on custom and personalized gifts. Beyond the retail aspect of my business, I really wanted to focus on giving back to the community that has given me so much. Through 8FIVE9 Designs, I helped coordinate a local vendor show to raise money for a family whose daughter experienced a traumatic brain injury before her second birthday. Also, I teamed up with another small business to raise money for Necco of Lexington to help fund Christmas presents for foster children in Central Kentucky. As part of my duties as an attorney with LFUCG, I am tasked with advising the many local boards and commissions. 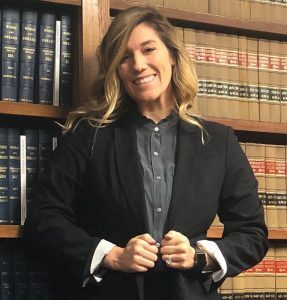 I also represent the Government, its employees, sworn officers and elected officials in civil litigation in both state and federal court, as well as in administrative hearings. Growing up in eastern Kentucky, Charla relocated to central KY to attend Berea College. While there, she developed a passion for social justice and non-profit service that led her to the International Book Project. 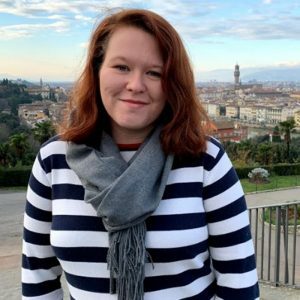 Working at International Book Project since 2015, Charla currently serves as the Director of Operations. 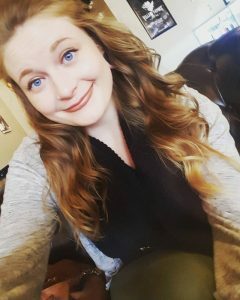 She enjoys reading, spending time with her dog, Daisy, and drinking large cups of coffee. As an active member in the non-profit community, I have seen firsthand the impact local businesses can have on their communities and the world at-large. I believe in the transformative power of cultivating partnerships between local businesses and the people they serve. I have worked to spread the Buy Local message both personally and professionally. I am very intentional about shopping at local businesses and encouraging my friends to do the same. As an employee of International Book Project, I have held pop-up book sales at local fairs, markets, and public events. Serving on the Facilities Task Force at International Book Project in 2016, we decided to undergo a massive renovation of the IBP warehouse space and I played an active role in all facility related decision making. I also work on a very small staff, so all community-oriented decisions are made by the group as a whole. What qualities, leadership skills, and contributions would you bring to the LFL board? I am passionate about helping others and dedicating my time and energy to projects I believe in. 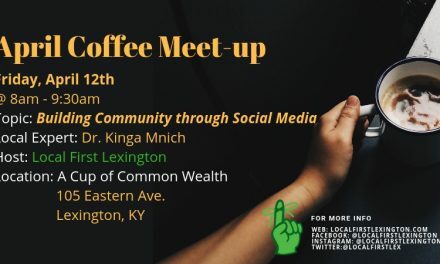 My organization is local to Lexington, but we serve an international audience, so I would bring a unique global perspective to the Local First Lexington board. I am very organized, able to adapt quickly to changing situations, and often try to solve problems in creative ways. I believe LFL needs to focus on reaching a more diverse audience with its message—not only promoting the idea of buying local, but stressing the significant impact it has on the local economy. As an LFL board member, I would prioritize the inclusion on non-profits within the LFL network. 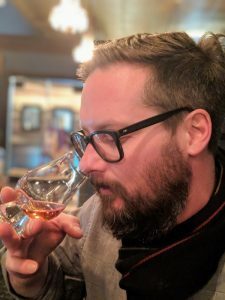 Brandon Judd, Beverage Professional and part-time musician, has been a Lexington resident for 22+ years. He appreciates all that Lexington has given him and would like to return the favor with community involvement in local commerce. I’d like to be more involved with the Lexington community. I think could lend a hand as a special event liaison. I am the Community Outreach Coordinator for 723 Vapor & 723 CBD here in Lexington KY. I have been a member of this company for 4 years. Working with a local business that started small here in Lexington, and being able to watch it grow with the help of the community has instilled an important mind set for myself; how important shopping local can be. I hope to use this position to share that message with the consumers of this great city. Local business is the foundation of our community, I would love to be a part of an organization that helps them flourish and keeps the local economy booming. 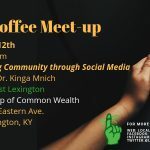 This will be my first year working with community outreach here in Lexington, as a member of the community that strives to eat and shop local I try to spread the message by example, and hope that friends, family, customers at our retail locations follow suit. This would be a new adventure for me however I’m willing to put in the time and effort to earn a position with this organization. I’m highly driven, organized, and utilize good time management between my daily job, personal life, and community work. 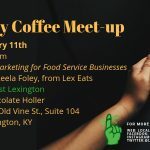 I think I can bring a fresh take on how to help local business here in Lexington continue to be amazing. Growing community involvement, with social media opinions changing daily making sure that shopping local continues to be an important movement with consumers. Calvin Penn is a South Lexington resident and active community member. 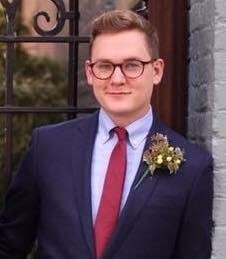 After moving to Lexington from Glasgow, Kentucky to attend the University of Kentucky, Calvin worked in a fundraising role for a US Congressional campaign to help bring better representation to his community. He and his husband later moved to New York City, where he co-managed a multi-million dollar business. He returned home to Lexington, and to his political and fundraising roots, to help manage and fundraise for another US Congressional race based in Georgetown, Kentucky. My husband and I moved back to Lexington after living in New York City for several years because we wanted to come back and work to improve the community we love and call home. I’ve worked to elect better representation for our community in Congress by raising millions of dollars through grassroots fundraising efforts and creative approaches. In my campaign role, I worked with organization leaders, elected officials, donors and activists throughout the state and country to build a campaign from the ground up. In New York I comanaged a multi-million dollar retail business and worked with the community to improve sales. I believe I have a unique background of business management and fundraising that would serve the LFL board well. My husband and I hope to start a family here in Lexington after the next few years. My motivation for serving the board is to help cultivate a better community that I would like to raise our children in. I do not have prior experience with LFL, however I have long advocated for shopping locally through my management of campaigns and in my personal relationships. I have expressly prohibited campaign funds from being spent at big-box chain stores such as Walmart if not absolutely necessary, and would encourage making purchases at locally owned businesses such as Elite Graphics. In my hometown in Western Kentucky I witnessed first-hand the problems faced by small local businesses when a big-box store opened in town. 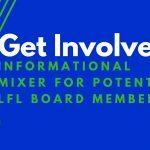 I would like to take a more active role in advocating for buying local and promoting local business by working with LFL in a board member role. Apart from my roles managing and fundraising for campaigns and managing a business, I previously served as a board chair for the University of Kentucky’s Student Activities Board. In that role I worked to promote local businesses by organizing an annual farmers market on campus and partnered with dozens of local businesses and farms to bring awareness and local shopping options to the student community. I’d like to bring my fundraising experience and skills to the LFL board to help expand its reach in the community and deepen its commitment to the people it serves. I am committed to the goals and tasks I take on, and I follow through with strong results. I would also bring my business background and experience managing staff and volunteers to the board, where I could help recruit help and manage projects effectively. I hope to have the opportunity to serve the board and in turn my community. One of the big challenges facing the Buying Local mission is that bigger, non-local businesses have tried to coopt the “local” branding to benefit from the Buying Local movement for their own gain. Our challenge is to help better define what it means to be Buying Local (keeping dollars in the community) and to better promote to the consuming public which businesses are in fact locally owned. Another main challenge is more clearly and concisely making the case to everyday shoppers why Buying Local is so important to their own community, and why they should care. 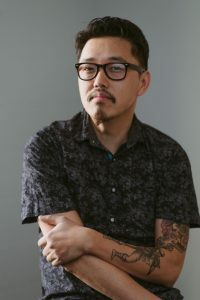 Dan Wu is the owner & head dishwasher at Atomic Ramen, the world’s first superpowered noodle shop. He juggles his restaurant duties with writing, teaching, and community activism. 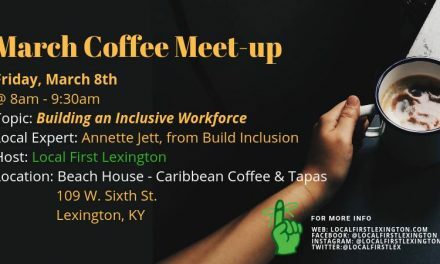 I’d like to make contribute to making Lexington’s small business scene more diverse, inclusive, and fun! I’ve only been a member since November 2018 but I’ve been spreading the Buy Local message for many years, since even before Atomic Ramen. A big part of my Culinary Evangelist identity (and radio show/podcast) has been about spreading the message of eating, shopping, and buying in our own community. While not having served on any boards in a formal capacity, I’ve helped created and organize KY Refugee Ministries’ Passport to Flavor fundraising events (2016, 2017), co-organized the Empty Suits Town Hall (2017), created the I Am A Kentuckian project (2017), among others. I’m an experienced public speaker, organizer, creative, and all around energetic & motivated individual. I would bring fresh perspectives & innovative ideas to LFL. We need to continue to spread the core message of buying local, why it’s important, and why it’s better for both the consumer and the community at large. 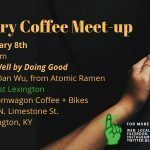 And let’s spread that message with fun ideas and ways to WOW Lexington!